“This is the first time I’ve been in here all week” Jim tells us. He’s spent the rest of the week around the community working with his constituents. After the last election when Labour won a majority in the council he decided there was little constructive work that could be done in the council HQ and spends most time in the community. The walls of Jim’s office are decked with the flags of various left-wing and national independence causes. On his desk sits a small but rather stately looking Palestine flag on a miniature flag pole. Noticing our wandering eyes he points to the red shades at the window, which he tells us he had changed from the standard West Dunbartonshire council green (with some reluctance on behalf of the staff in charge of decor). The conditions and challenges faced by his constituents are undoubtedly worsening; 14% of children in West Dunbartonshire live in severe poverty and the area has a high level of joblessness. “West Dunbartonshire is very similar to a lot of other working class areas; high unemployment, high levels of poverty and fuel poverty. The immediate issues right now are trying to combat the Bedroom Tax and trying to deal with its outcome. Three thousand of our tenants are affected by the Bedroom Tax. The other issue that’s coming down the line is universal credit, which again will have a huge impact on a lot of our tenants and residents. Those are the immediate things. The other thing we are trying to grapple with right now is zero hour contracts. We’ve just discovered for the first time that the council actually has employees on Zero hour contracts – so we’re mounting a campaign against that. “Am I allowed to swear in this interview? The Labour party’s position is just another capitalist position. What we really need to do with the energy industry is just bring it into public ownership, that’s the only way we are going to deal with fuel poverty. Any other so called compromises that are put on the table don’t deal with the issue. “We took the issue to the council and made it clear –there should be no evictions- for anybody, not just in rent arrears with the bedroom tax but in rent arrears per se. We got beat at the vote and the Labour Party put through a wishy-washy motion which they say will mean no evictions but we’re not convinced of that. So what we’ve been doing is speaking to the trades unions and the tenants movement and we’re building up a network of opposition so that if and when they try to evict anybody we will be ready to physically stop them. “Disgraceful. Actually we managed to get that reversed, and a lot of that was down to the hard work of the trade unions in the council. It was an absolute disgrace the way they were treating workers. They were coming into their work, with these mats stuck to the ground saying that ‘a day off your work could have paid for children in residential care getting looked after” – it was bullying. But the trade unions launched a good campaign and we put a motion to the council as well and they got withdrawn two weeks later. “Aye, it’s a huge issue in West Dumbarton now. We’ve got three DWP offices. At the one in Dumbarton and the one in Alexandria we’ve seen huge increases. I was dealing with a case there with a young man – four minutes late [for a benefits appointment] and he got sanctioned. Another young man who was dyslexic, and couldn’t complete the Jobs sheet register, was taken off [JSA]. There’s a local independent resource centre in Clydebank who help claimants to fight the system, and they are inundated with so many people being sanctioned. Targets on benefit sanctions have repeatedly been exposed by job centre staff to the press, and despite how much the Department for Work and Pensions management deny it, sanctions use continues to grow. Privatization at the council is a real and serious threat. “We’ve got to convince the unions to stop it dead in its tracks.” Jim states. “They’ve brought in this woman; her title is the ‘Transformation Manager’ – I still don’t know what that means – she’s on £80,000 a year and she’s coming out with all these ideas. The top floor used to be a canteen for the staff – a subsidised canteen which was good – they’ve shut the canteen and spent £400,000 turning it into a hot desk office. It’s all about divide and conquer. The Tories know the public sector is a place where they can sell stuff off to their friends. As a long-standing supporter of Scottish Independence, Jim spoke about his vision of the future for local councils and local democracy in the event of a Yes vote in 2014. “It’s a big issue. We still have a way to go, I think a lot of people are still frightened by it because of what they are being hit with in the mainstream media, all the lies they are being subjected to on a daily basis. I saw that clown Robertson in the papers saying that if we had independence there would be greater risk of a terrorist attack in Scotland (laughs). There’s all that tripe being fed out to people. 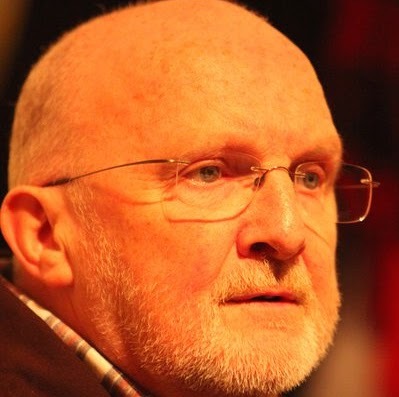 Jim Bollan moved a Boycott, Divestment and Sanctions motion first in 2009, in West Dunbartonshire council, showing his support and solidarity with that Palestinian people. We asked Jim why socialists should run for positions in representation, whether in unions or parliament or, like him, a local council. What opportunities do those positions afford socialists? “The first thing it gives you is access for the people you represent. I’m under no illusions that where I sit in the structure here, is down in the bottom, in the carpet, but it gives us access, gives us an opportunity – strangely enough to make a case to senior officers – to suggest things that should be happening. Because if you try and talk to the other politicians, you’ll have no chance. But a lot of the senior officers are looking for political guidance, because the Labour councillors here are bereft of any ideas. So there’s an open door. The likes of me and George [independent] have won quite a lot of victories without having to go through the political system. First of all I was only involved in the unions, but I realised I wouldn’t get political change just through the unions so I joined the Communist Party, then the Labour Party, till Kinnock took it over, then I joined the SSP. I always felt that if you got elected as a socialist your first responsibility was to your punters and then to your party. One of the areas we have been successful in is Renton. We used to get battered of the establishment in Renton for over 20 years. They used to say ‘your awful poor in Renton’ so they would bring a project in. They would bring people in with money and there would be no difference by the time they left. We got sick to the back teeth of that and what we did was begin to create an organisation via a community based housing association where we started to own the assets. And what about the Labour council, and where does he see Scottish Labour headed in the future? “They have no ideology. There was always a small chance that the Labour party could have changed things slightly for the better for the working class in Britain through parliament, always a small chance. That’s away now – it went when Kinnock got a hold of it. In Scotland they have no ideals – the crop in here have no background in the Labour movement, only two or three of them were ever in a trade union. They’ve got no experience of any big struggles, no background in the peace movement. They all come in purely just to make up the numbers. Some of them stand to make up the numbers and then are surprised to get elected, don’t know why they are there. Anas Sarwar, the deputy leader, was at the Town hall the other night – he got booed off the platform! It was about independence. He got booed, they were shouting at him. He was trying to read a speech off a bit of paper. They’ve got no quality. In a political system dominated by right-wing career politicians, is it hard to stick to your principles and ideals without succumbing to the political ‘game’? “No. Not at all”. But is there any pressure to conform and toe the line? “Oh yes, of course”. How does he deal with it? “Just tell them naw (laughs). Tell them to go away. I’ve been reported to the standards commission again, going through the process, and I’ll probably get suspended again, and that’s because I won’t bend the knee. I constantly try and stick to my principles, understand who elected me and why I’m here. And I always try and confront the establishment, whether it’s the officers or the Labour group. Thankyou Jim, that interview is inspirational. You’re absolutely right, New Labour sold out a long, long time ago. The only chance we have in Scotland is to build a new future through independence, but it’s hard sometimes convincing people when all they hear is the lies of the MSM, Lamont and her ilk, and the ConDems. Our campaign is about hope and democracy and I’m looking forward to next year, and the years after that! Good luck!